HOUSTON, Texas -- Video of a swim in a new Houston pool is not for the faint of heart. 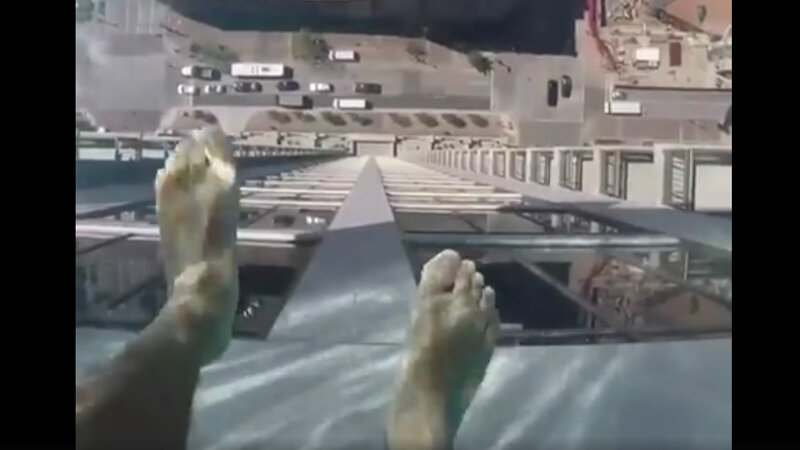 Market Square Tower offers a glass-bottomed pool that is 40 stories up. The roof pool is one of two pools in the building. Sister station KTRK-TV reports the building is downtown Houston's tallest residential high-rise, and it's within walking distance from some of the city's top restaurants, bars and theater district. Some of the other amenities include, a cyber lounge, basketball court, poker suite, indoor virtual golf, and a spa complete with sauna, steam and treatment rooms. If you see yourself living there, the price tag for units starts at $2,200 a month, or you can always go for the penthouse suite for $18,000 a month.